The Apprenticeship Levy is a new measure; it will affect employers in all sectors. 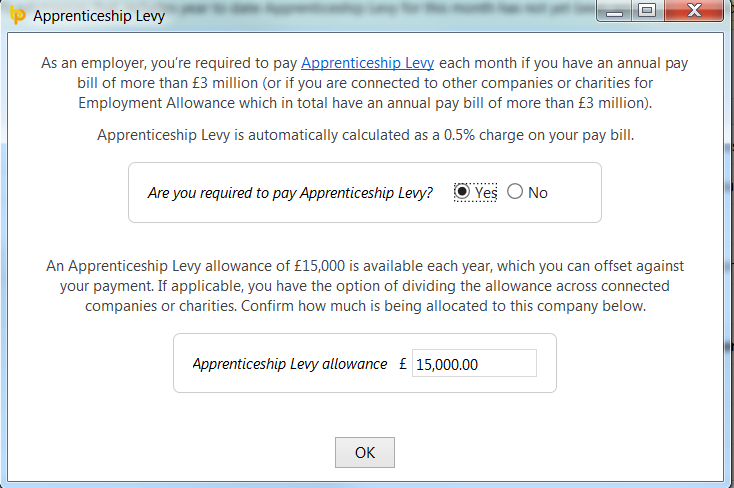 The levy is payable by employers with an annual pay bill in excess of £3,000,000. It is estimated that less than 2% of employers will pay it. The Apprenticeship Levy is to fund new apprenticeships. BrightPay will automatically calculate the amount of Apprenticeship Levy due each tax period by calculating 0.5% of the pay bill less the year to date Apprenticeship Levy Allowance. 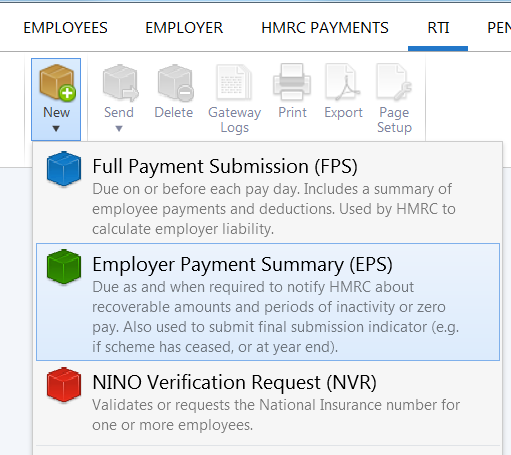 This amount will be reflected in the HMRC Payments utility and will be reported on the Employer Payment Summary (EPS). 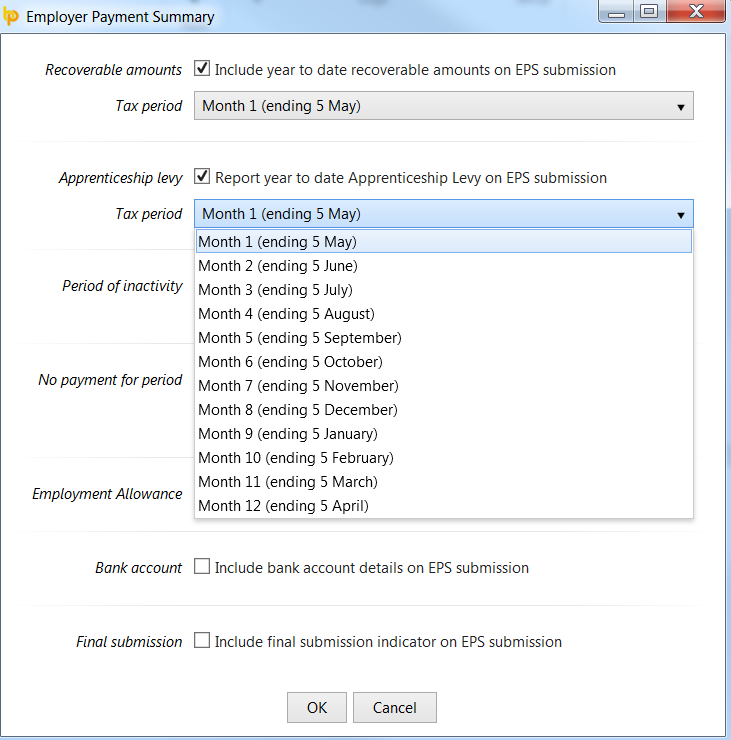 Please note: you don’t need to report Apprenticeship Levy on your EPS if you haven’t had to pay it in the current tax year. 5) Click 'OK' and submit to HMRC, when ready.